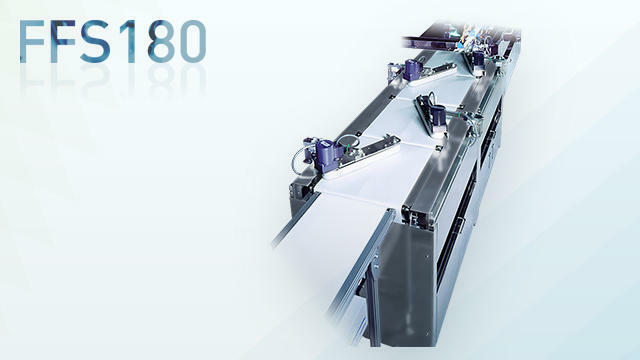 To align the goods flowing to the random FFS180 | Inline Feeders | FUJI MACHINERY CO.,LTD. Arranges products that flow out from the previous process in multiple rows, batches, or randomly into a single row, and then dispenses them to the next process. 4-line conveyor: products that come out in multiple rows and are difficult to arrange are aligned into single rows. 3-line conveyor: round products that flow out in multiple rows are arranged into single rows, and corrects the direction of products whose direction is difficult to correct. 2-line conveyor: corrects the direction of products when they flow out from the previous process.